The minute my kids get in the car on a road trip they tell me they’re bored. I have great memories of road trips in the car with my parents because my mom would always pack these awesome travel games. 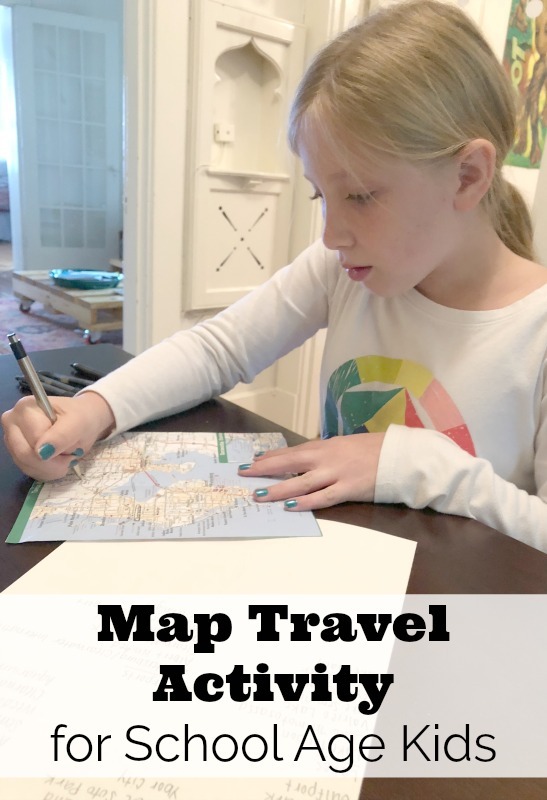 A map activity travel game is great for school age kids! This year I wanted to make a travel game of my own that was simple, entertaining, educational and challenging. A friend showed me these map books where you try to locate a list of different landmarks, cities, lakes and rivers. 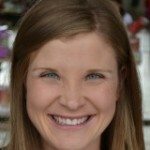 The books were inexpensive, but I knew I could easily do it on my own for free! 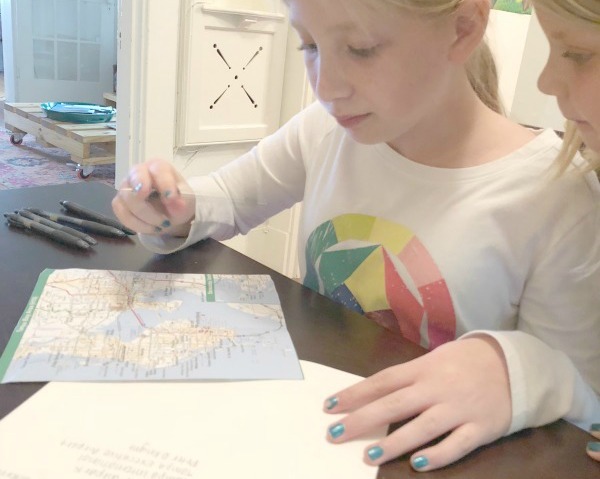 This DIY map activity travel game is a one item activity that works best for older elementary school age kids. 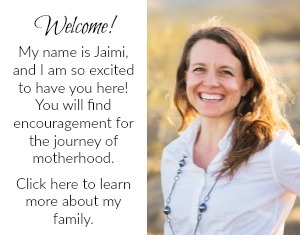 It’s so easy to put together in about 30 minutes and will be very entertaining for them to accomplish while they’re traveling for the holidays. First you’ll want to find a map. You can pick one up at your local tourism office, usually for free. You can use an old map from an Atlas or print one out from Google. 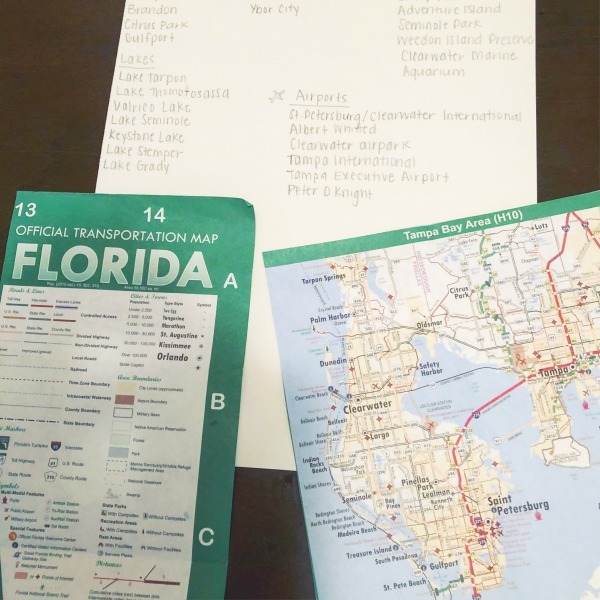 Go through your map and write a list of different landmarks, cities, streets and lakes. This will become the legend. The landmarks I used for my legend included cities, state parks, points of interest, lakes and airports. You could also add in other things like rivers, different types of roads like freeways or state roads or national monuments. 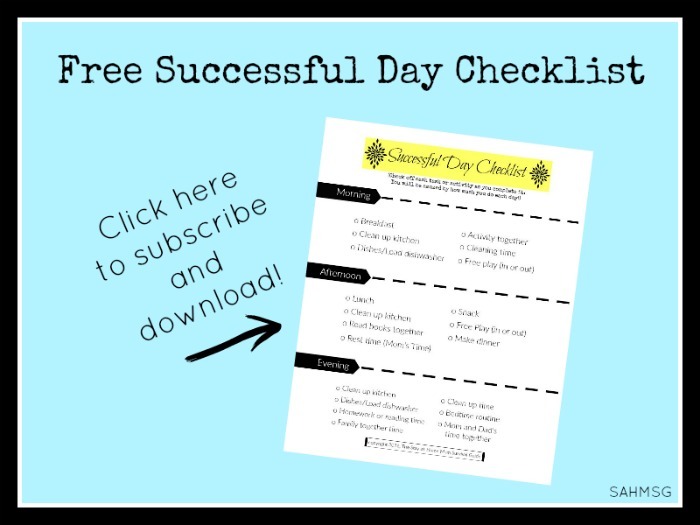 There are so many options to make this a longer and more involved activity. Write or type out the legend of all the places you gathered so your child can use it to find the places on the map. 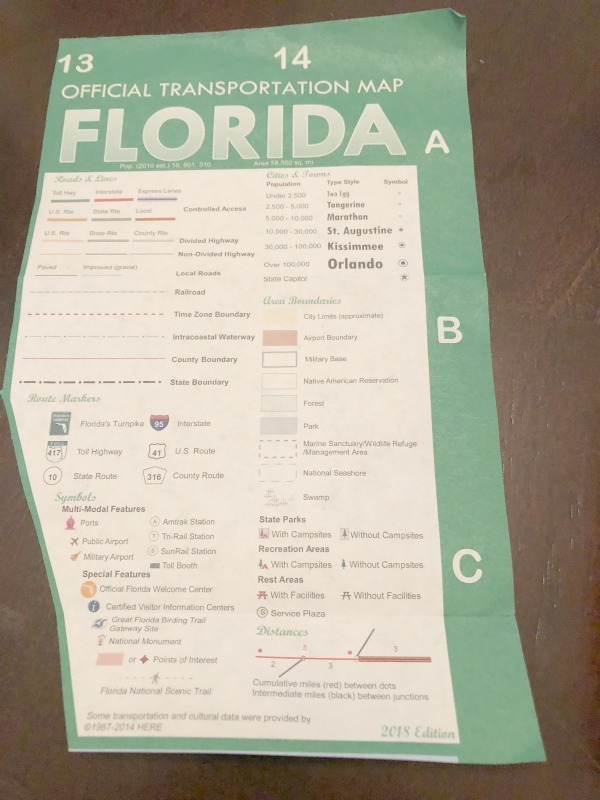 You could always laminate the legend and the map so they can be used with a dry erase marker to be reusable. 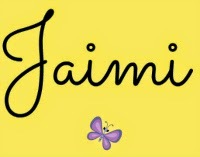 I’m going to make more, laminate them and put them on a key-ring so she can do multiple ones in the car over again. Show your child how to locate one or two of the first landmarks. This is where the educational part comes in. Show them on the map how each landmark or place has certain characteristics that will help them find it on the map. For example, on the map of Tampa all the major cities were in large, bold font. I explained how this was a clue for when my daughter was looking for major cities. It’s a great time to start explaining how to read map and find things on them. I also showed all the symbols that make up the official legend on the map so she could easily locate state parks, lakes and airports by looking for the legend symbols. Next I gave her the legend I created and let her start to look over the map. She circled each landmark she found and crossed them out from the legend as she went. 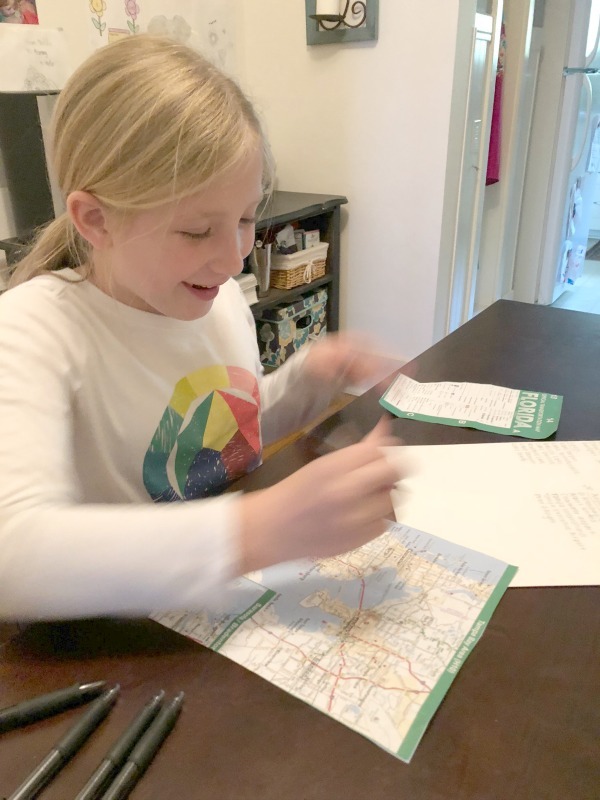 She loved the challenge of finding landmarks on the map and it also gave her the opportunity to learn more about her state. She started identifying other landmarks that I hadn’t even written down. She said it was really fun which is a huge compliment at her age! Her little sister asked me to make one for her too! This map activity travel game was a huge success. 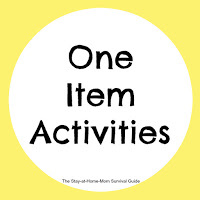 I love that you can make this activity as simple or challenging as you want for your child. You can have a small amount of landmarks or a longer legend full of different landmarks. Since this was the first time we had ever done this activity I didn’t go overly crazy with the legend. 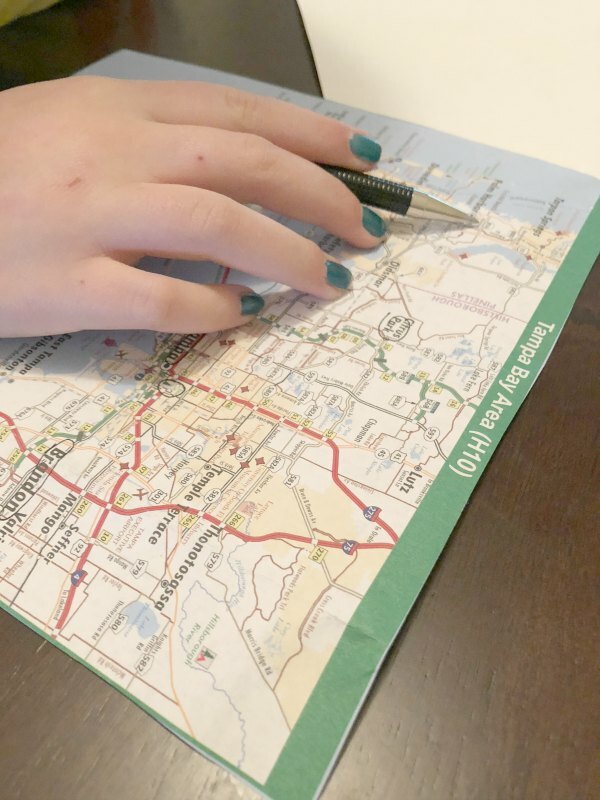 You can do small maps or larger maps depending on what your child likes. 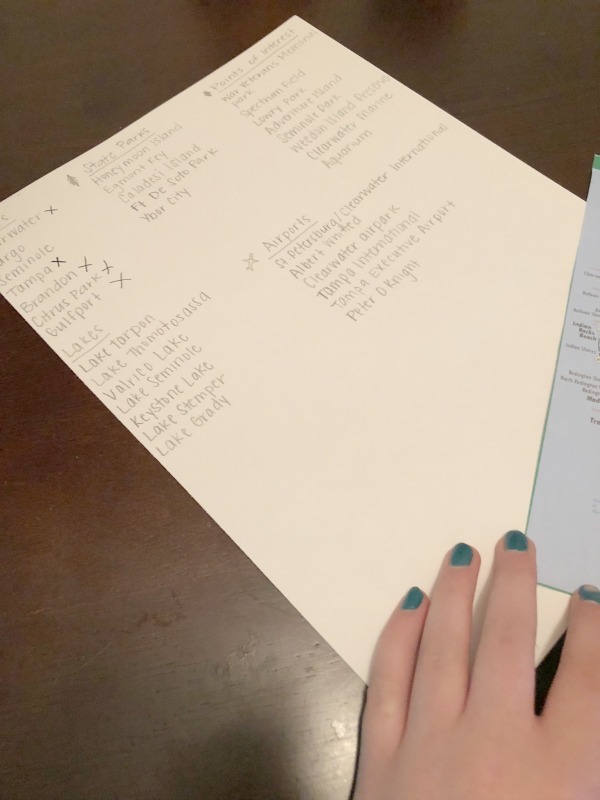 I hope your child enjoys this easy DIY travel activity as much as mine did. What’s your favorite travel game or activity? Tell me in the comments below. Did you pass that activity on to your kids? What types of travel games do your kids enjoy?